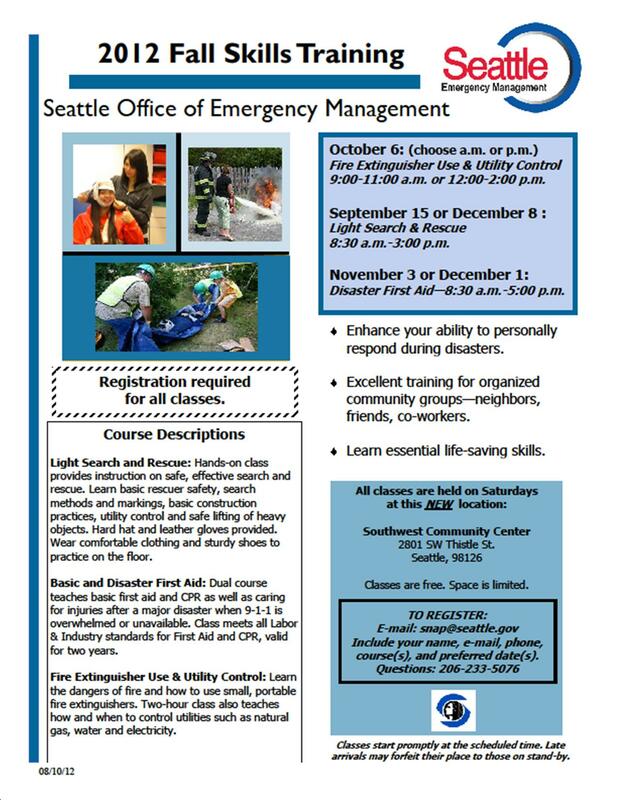 The Seattle Office of Emergency Management has opened registration for their Fall Skills Training classes. For the first time (that we know of), the classes will be held in West Seattle! The flyer is posted below; you can register here. This entry was posted in Announcements, Events and tagged Disaster First Aid, Fall 2012 Skills Training, Fire Extinguisher training, Light Search and Rescue. Bookmark the permalink.